Are the DHP officers REAL police? All of our officers are off-duty City of Atlanta and DeKalb County Police officers. They patrol our neighborhood wearing full police uniform and carrying all standard equipment, including radios, handcuffs and weapons. 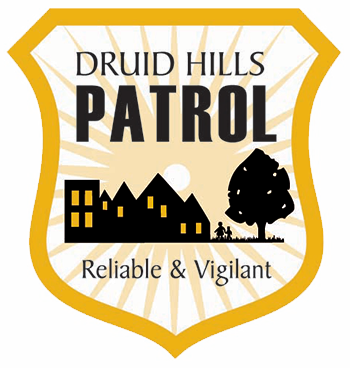 They are in direct two-way communication with 911 and monitor police radio for both jurisdictions to listen for criminal activity in Druid Hills. DHP officers have emergency response capability and full powers to arrest. They are managed by our Officer-in-Charge, Atlanta Police Lt. Tony Singh, and patrol in our clearly marked DHP vehicle, which is equipped with police lights, horns and megaphone.